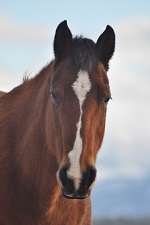 Each of our horses has its own unique and interesting story. Most of them have been given to us with the understanding that they would live their last days at Jandana. 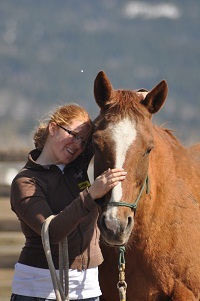 Many are older horses with many good years left, some were very troubled and had lost their respect for humans, one was rescued from uthanization and some just loved but circumstances prevented them from remaining where they were living. 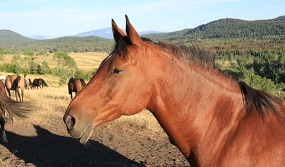 Several horses over the years came from Standardbred and Thoroughbred rescues. All of them, no matter what their history or age began a new life at the ranch with a solid grounding in Natural Horsemanship. All of them have a respect and curiosity of the human which allows them to become the wonderful teachers that they are. Frohlich is 29 years old this year! 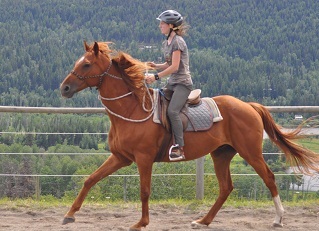 She is a registered Holsteiner and has been Janice’s top horse. From has now decided, no more adults for her! She has a string of faithful young followers and because young folks have natural feel and lightness she “allows” them to learn with her. Rabbi and AstronAstron is another of Janice’s rare adoptees. 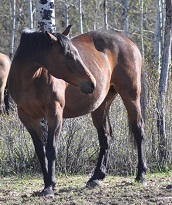 Reg Hanoverian. A sweet , wonderful teacher. 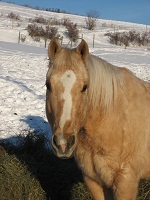 Rabbi , an Arabian belongs to Dani and resides at Jandana. Alysheeba’s Pride. Beautiful Kentucky bred TB, qualified for the prestigious Breeder’s Cup then fractured his knee as a 3 year old. Aly is now 20 years old and still sound! 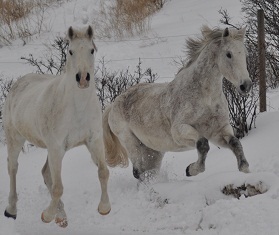 That’s what mountain life with a herd and free feeding can do for these horses. And……many others including our resident guests who live happily in a natural environment. At present we have 30 horses, one donkey , two alpacas and 4 goats residing.